Explore the most scenic part of Sydney, on our Northern Beaches Tours. Visiting 28 kilometres of the world’s best beaches and ocean views, with an expert local guide on this small group tour. See the impressive natural beauty of Ku-ring-gai Chase National Park, with its ancient Aboriginal sites, extensive waterways and Aussie wildlife. Visit Palm Beach, home of TV’s famous ‘Home & Away’, then enjoy the amazing lookout points from The Spit, West Head, Narrabeen, Long Reef, and North Head. We also take you to some of the mansions of Whale Beach before returning by Manly ferry to Circular Quay. This Sydney Tour will be your favourite undiscovered gem of any visit to this beautiful city! From your Manly/Sydney CBD/ Kings Cross/ Haymarket/ Glebe accommodation, or from pre-arranged City pickup points. To Manly Wharf for ferry to CBD. To Palm Beach Wharf for your Ferry to Ettalong, or for your local Palm Beach accommodation. This is Go Beyond’s signature tour experience. Our Northern Beaches Tours begin with morning pickup at your centrally located Sydney accommodation. Board an air-conditioned minivan for the scenic drive to Ku-ring-gai Chase. This is where you will learn about the local Aboriginal culture, while bush walking to see ancient cave art and sacred rock engraving sites. Next, check out the Pittwater waterways breathtaking coastal drive over to the famous Palm Beach, home to the rich and famous and Australia’s favourite soap opera, Home & Away, where you will take a tour around the area’s many mansions. We check out all of Home & Away’s vital filming locations, such as the Summer Bay Surf Club, Alf’s Bait Shop, the Palm Beach Pier and the Lighthouse. Afterward, enjoy an included sit down hot lunch with a choice of six delicious dishes, with scenic views over Pittwater waterway from the balcony at Palm Beach Golf Club. Then, travel to Narrabeen Beach for a chance to view one of the best surfing spots in Sydney. Enjoy superb photo opportunities from Long Reef Headland with its 70-kilometers of coastline views, where you may even be lucky enough to see a whale. Then, get away from the crowds and stroll the cliffs along the Curl Curl boardwalk. Stop to soak up spectacular views of famous Freshwater Beach, which is where legendary Hawaiian surfer Duke Kahanamoku first introduced surfing to Australia. Saving the best to last, our final stop on our Northern Beaches Tours is at North Head with a bush walk in the National Park which will reveal a breathtaking view of the entrance to Sydney Harbour. Wrap up these amazing Sydney Tours with a ferry cruise on the iconic Manly Ferry. Sail past Sydney Harbour’s entrance between North and South Heads. See expensive water front suburbs, and finally the Harbour Bridge and the Opera House. Your tour ends when your boat reaches Circular Quay. Awsome .Aimee n Brogan had a action packed day when you dropped them off met a lot of Home and Away actors.Thankyou so much for your hospitality n great tour. That day was absolutely magical… Great weather and lots of sunshine! 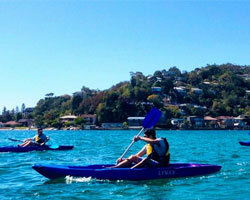 What a great way to do the Northern Beaches tour! Mike and the Go Beyond Tours team know how to best show you around this part of Sydney. Makes for a really unforgettable trip. Thanks again Mike!! The tour was awesome! Justine and I really enjoyed seeing all the sights in the Northern Beaches. We will for sure recommend your tour to anyone we know that is heading to Australia! We took this tour on our honeymoon, and Im so glad we did! Its a new tour, and our tour guide Mike could have easily cancelled the tour (as we were the only 2 on the bus), but Im happy he didnt! You get to see the other side of Sydney on this tour. And its well worth it (: beautiful beaches! Excellent and Friendly service.. Highly recommend this tour agent. Day well spent exploring Northern Beaches. Thank you for the great experience. I had an unforgettable day with this tour. Went to the northern beaches, seeing all the good spots, had the chance to see dolphins even. Very local trip, with a guide who provide you good knowledge and information of the area and the history. Recommended 100%. Great views and spots to stop over at.Mike really knows how to make the most if the day. Great value for Money. Definitely recommend doing this tour. We did two tours with Mike and enjoyed both of them immensely! We spent two full days exploring the Northern Beaches and later the Blue Mountains (with airport transfer at the end of the day). This is a much better option than booking through cruise ships. You’ll do more, be more comfortable, and enjoy the flexibility that touring with a small group offers (or as a private booking) — and at lower cost and greater value. We won’t hesitate to tour with Mike on our next trip! Absolutely amazing day exploring the Northern Beaches! Mike is a fantastic guy who is very knowledgeable and able to share history and stories about the local area. The tour itinerary covered all the key sights on the Northern Beaches, taking in some of the most spectacular and stunning scenery. Everything is included in the tour, even lunch at the Palm Beach Golf Club. This is a must do tour when visiting Sydney. Fantastic value for money and highly recommended! This was one of the best tours I experienced in Sydney!!! My tour guide, Michael, went above and beyond to tailor the sites we saw to my interests. We were even able to see the filming of Home and Away!!! I would recommend this tour to my friends. We had the most wonderful tour with Mike, although the weather was not perfect we got to see so much!! Highly recommend this Company, such personal and high quality service., thank you so much for a great day and wonderful memories of the views of the Northern Beaches, the National Parks (with the Wallaby) and of course the setting of Home and Away. Truly an amazing experience. 7 Chester Place, Narraweena, NSW 2099, Australia. ©2016 GO BEYOND TOURS. ALL RIGHTS RESERVED.